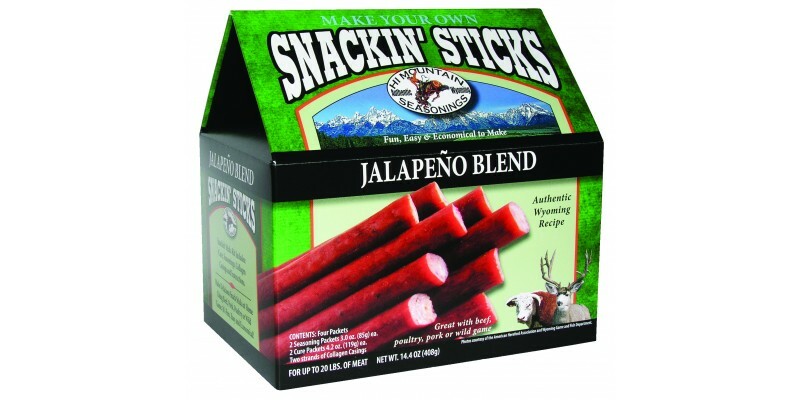 Another great Snackin' Stick kit using the brand new Jalapeño flavor. Snackin' Sticks are a great on-the-go snack, and are easy to make and delicious! And don't worry, the jalapeño flavor is bold, not hot! Each kit contains (2) 3.0 oz. seasoning packets; (2) 4.2 oz. cure packets; (2) strands of 21 mm collagen casings.